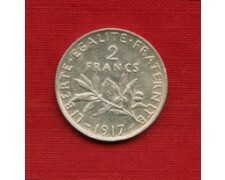 1917 FRANCIA - 50 centesimi argento 835/°°° Gr. 2,5 Seminatrice (Cat. World Coins KM# 854) splendida conservazione Spl. 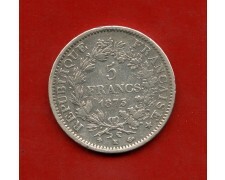 1917 FRANCE - 50 cents Silver 835 / °°° Gr. 2.5 seeder (Cat. World Coins KM # 854) beautiful conservation. Spl. 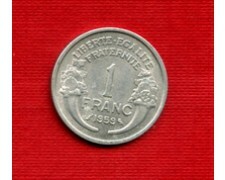 1958 France - 1 Franc Aluminum cornucopia (Cat. World Coins KM.885a.1) beautiful conservation BB. 1958 FRANCIA - 10 franchi alluminio-bronzo Galletto (Cat. World Coins KM.915.1) bella conservazione BB. 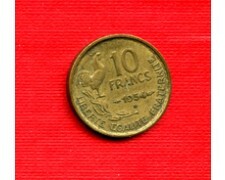 1958 France - 10 francs aluminum-bronze Cockerel (Cat. World Coins KM.915.1) beautiful conservation BB. 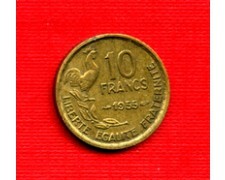 1957 FRANCIA - 10 franchi alluminio-bronzo Galletto (Cat. World Coins KM.915.1) bella conservazione BB. 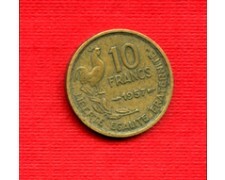 1957 France - 10 francs aluminum-bronze Cockerel (Cat. World Coins KM.915.1) beautiful conservation BB. 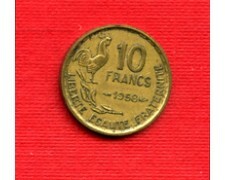 1955 FRANCIA - 10 franchi alluminio-bronzo Galletto (Cat. 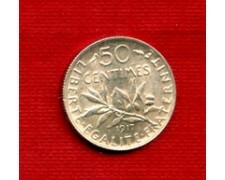 World Coins KM.915.1) bella conservazione BB. 1955 France - 10 francs aluminum-bronze Cockerel (Cat. World Coins KM.915.1) beautiful conservation BB. 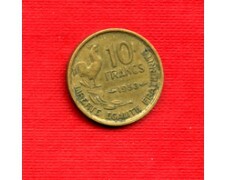 1954 B FRANCIA - 10 franchi alluminio-bronzo Galletto (Cat. World Coins KM.915.2) bella conservazione BB. 1954 B France - 10 francs aluminum-bronze Cockerel (Cat. World Coins KM.915.2) beautiful conservation BB. 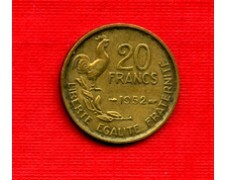 1953 FRANCIA - 20 franchi alluminio-bronzo Galletto con 4 piume (Cat. 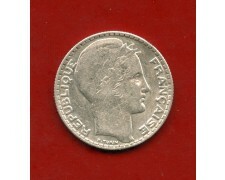 World Coins KM.917.1) bella conservazione BB. 1953 France - 20 francs aluminum-bronze cockerel feathers with 4 (Cat. World Coins KM.917.1) beautiful conservation BB. 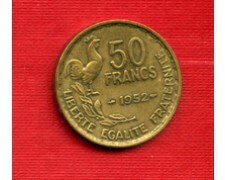 1953 FRANCIA - 10 franchi alluminio-bronzo Galletto (Cat. 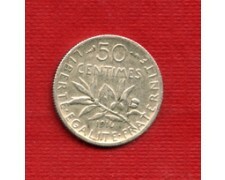 World Coins KM.915.1) bella conservazione BB. 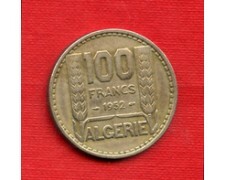 1953 France - 10 francs aluminum-bronze Cockerel (Cat. World Coins KM.915.1) beautiful conservation BB. 1952 B FRANCIA - 20 franchi alluminio-bronzo Galletto con 4 piume (Cat. 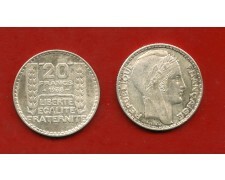 World Coins KM.917.2) bella conservazione BB. 1952 B France - 20 francs aluminum-bronze cockerel feathers with 4 (Cat. World Coins KM.917.2) beautiful conservation BB. 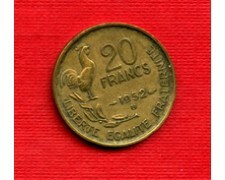 1952 FRANCIA - 20 franchi alluminio-bronzo Galletto con 4 piume (Cat. World Coins KM.917.1) bella conservazione BB. 1952 France - 20 francs aluminum-bronze cockerel feathers with 4 (Cat. World Coins KM.917.1) beautiful conservation BB.